Sources from Udaipur stated that Grammy award winning singer Beyonce arrived in the city of lakes on Sunday to perform at a pre-wedding celebration for Isha Ambani and Anand Piramal. Meanwhile Beyonce will perform on Sunday night for a star studded audience, which includes US former First Lady Hillary Clinton and a slew of Bollywood celebrities including newlywed Priyanka Chopra and her American singer husband Nick Jonas. Accordingly Beyonce's arrival for a private concert here has been much talked about since September when American singer John Legend performed at Isha and Anand's engagement in Italy's Lake Como. Furthermore the wedding celebrations are as grand as expected. On Saturday night, a glitzy sangeet ceremony saw the bride and groom's family in a celebratory mood. 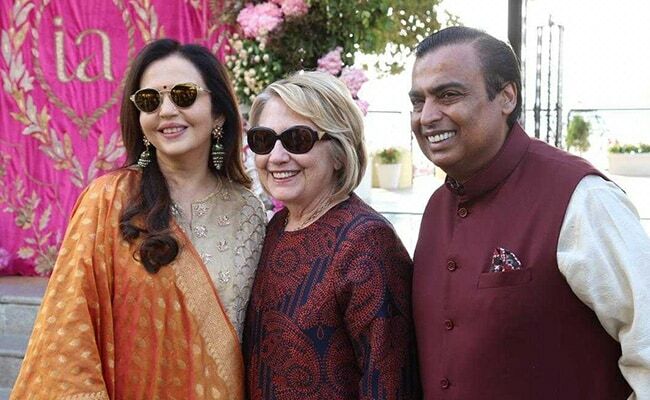 Among those who joined the party were business tycoons and all Bollywood celebrities. Moreover veteran actress Rekha also arrived here on Sunday. Isha and Anand, scions of the Ambani and Piramal business families respectively, will wed as per Indian traditions, customs and culture at the Mumbai residence of the Ambani family on December 12. Earlier on Friday, the families started the pre-wedding functions with a special four day 'Anna Seva' to feed 5,100 people, a majority of them with special abilities.